In 2016, two Texas Tech Physicians of El Paso (TTP El Paso) departments received the Patient Satisfaction Award from Wellcare, a national provider of Medicare and Medicaid-managed health plans. In addition to the awards, three TTP El Paso health care professionals earned the highest patient satisfaction scores for the year: Charmaine Martin, M.D., Cheyenne Rincones, R.N., B.S.N., M.S.N., FNP-C, and Albert Salinas, N.P. 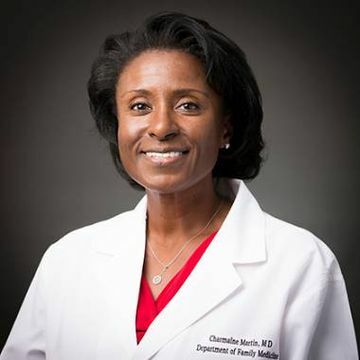 Charmaine Martin, M.D., director of OB services for the Department of Family and Community Medicine, was rated among the top providers for 2016. Cheyenne Rincones, R.N., B.S.N., M.S.N., director of clinical services for the Department of Family and Community Medicine, earned top patient satisfaction scores in 2016. “Patients come first; they are the reason we are all here,” said Dr. Martin, a physician in the Department of Family and Community Medicine. As director of obstetrics services, Dr. Martin has the unique opportunity to be a part of some of the most life-changing and memorable moments in her patients’ lives — like the time her long-time patient went into labor over the holidays and Dr. Martin cut her vacation short to be there for the delivery. As a flight attendant, Escobedo suffers from ear pressure — a common health issue in the profession — and chronic migraines. There are times when the pain is ongoing for weeks. When one of his migraines was particularly persistent, Escobedo was able to email Rincones, who scheduled an appointment to see him on her day off. 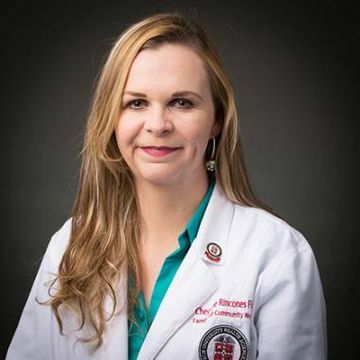 “For me and my colleagues, it is innate to provide exceptional patient care at all times to meet the needs of our patients and their families,” Rincones explained. It’s these natural tendencies for excellent patient care that earn health care professionals top ranking patient satisfaction scores. Patient satisfaction data are collected through the Agency for Healthcare Research and Quality’s Consumer Assessment of Healthcare Providers and Systems (CAHPS) survey. The survey asks patients and/or family members involved in their care to rate providers and health plans based on their care experience. What makes the CAHPS survey data valuable for providers is that they go beyond measuring whether a patient’s expectations were met; they also assesses whether the provider is following clinical care protocols, like effectively communicating details of the patient’s health. In addition to patient feedback, provider scores are measured against national benchmarks set by the Centers for Medicare and Medicaid Services (CMS). Criteria used by the CMS to score providers focus on meaningful use of patient data — in other words, how the data are used to proactively monitor patients’ health, efficiently and accurately diagnose diseases, minimize costly hospital readmissions, and avoid clinical errors. These include patient education, patient portal sign-ups (for accessing personal health data), blood pressure control, blood pressure screenings, body mass index (BMI) screenings and follow-ups, pneumonia vaccinations, high-risk medications for elderly patients, and cervical cancer screenings. A number of systems exist to track this information; at TTUHSC El Paso, patient data are recorded through the Electronic Medical Records (EMR) system and then shared with CMS care management platforms.